Academic course work is combined with clinical practicum to prepare individuals for careers in providing a professional service designed to meet both diagnostic and therapy needs for individuals of all ages. Students are prepared to be competent and proficient professionals capable of addressing a wide variety of speech, language, learning and hearing problems. Students prepare to provide direct and consultative services as speech-language pathologists in educational, medical, and private practice settings. The course of study emphasizes physiological, neurological, psychological, and behavioral processes in normal development, fundamental communication processes, and disorders of communication. Students are encouraged to combine analytical thinking and independent application of course content with the clinical process. Training in speech and hearing sciences through the bachelor’s level degree is considered a pre-professional degree. State and national clinical and educational certifications require completion of the master’s degree. Both the undergraduate and graduate programs are located in Spokane and are a cooperative venture with Eastern Washington University. 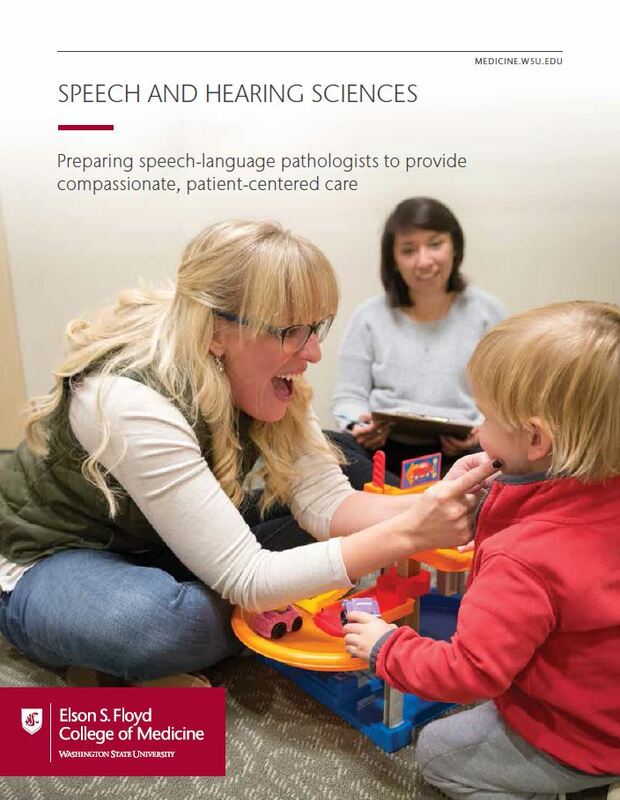 Washington State University and Eastern Washington University combine faculty and resources to form University Programs in Communication Disorders (UPCD). WSU students enroll through, and receive their degrees from, Washington State University. 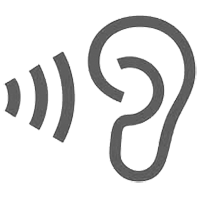 The University Hearing and Speech Clinic is the graduate student training facility for UPCD. Spokane provides many additional opportunities to work with special populations, including medical settings. The capstone internship program provides intensive practical experiences in numerous clinical and educational settings. The master’s (MS) education program in speech-language pathology at Washington State University is accredited by the Council on Academic Accreditation in Audiology and Speech-Language Pathology (CAA) of the American Speech-Language-Hearing Association, 2200 Research Boulevard #310, Rockville, Maryland 20850, 800-498-2071 or 301-296-5700. The graduate program in speech-language pathology is recognized at the state level by the Washington State Board of Education. 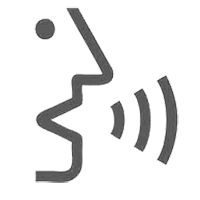 ESA certification for speech-language pathologists and audiologists in Washington is separate from ASHA CCC certification and is required by the state for employment in a public school setting. There are two levels of ESA certification: Initial and Continuing. Consult with Leslie Power for additional information. The Department of Speech and Hearing Sciences is based at the Health Sciences Campus in Spokane. Officially designated as WSU’s health science campus, the Health Sciences Campus is home to a wide variety of health-related academic and research programs. You will be sharing the campus with future doctors, nurses, pharmacists, dietitians, exercise specialists, and health care managers. The Department’s teaching and research facilities are housed in the Health Sciences Building. The building also houses the University Hearing and Speech Clinic. The clinic provides opportunities for clinical experiences to graduate speech and hearing sciences students.